Did you know that regularly visiting your dental hygienist is just as important as brushing and flossing daily? Habitual oral hygiene appointments provide an additional level of preventative care, ensuring your teeth stay strong and healthy. At Gateway Dental, your oral hygiene appointment will begin with your dental hygienist “scaling” your teeth. This removes tartar build-up. Then, your dental hygienist will polish the surface of your teeth to remove minor stains. Finally, we may recommend a fluoride treatment. 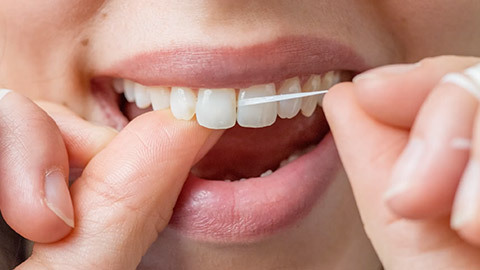 These appointments are important not just for the upkeep of your oral hygiene, but in that they allow us to thoroughly check your teeth and gums to make sure they’re healthy. By visiting regularly, you give us the chance to spot problems early on, meaning we can take action as soon as possible. Another thing we look for during routine dental examinations is oral cancer: cancerous tissue growth in the oral cavity. At Gateway Dental, we will check you for lumps, bumps, and lesions. We believe it’s important to be vigilant when it comes to oral health, so we use visual screenings to determine if you may be at risk for oral cancer. For more information about oral hygiene and oral cancer screenings, contact Gateway Dental today.